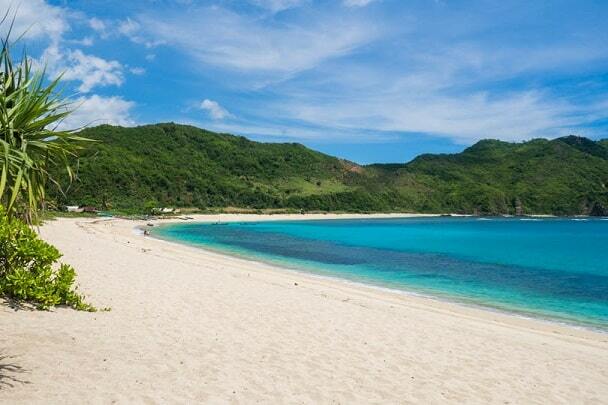 "until now Lombok looks very nice and we have spent just one day on the island. Today we will start our tour and start the day with a banana pancake, leave the big luggage behind, get an Italian scooter with large seat and departure to destination unknown. The deserted beaches along the coast are covered with black volcanic sand and surrounded by palm trees. By means of a well winding and steep road, which gives a view over the coastline, we drive on. On the way we stop at a small beach restaurant and order lunch. I expect to have ordered fish, this is also correct .. however, they are fish heads." Lombok belongs to the Lesser Sunda Islands. It is located in the Indian Ocean to the east of Bali and to the west of Sumbawa. Lombok is somewhat smaller than Bali, is much less touristy and the population there is less prosperous. It is also smaller than Bali (about 10%), but certainly not less beautiful. Lombok has about 2.4 million inhabitants. The capital, the political and cultural center, is Mataram. The island is also called 'the island of 1000 mosques', because there are many Hindu temples and also Islamic mosques. Lombok has a lively nature with many waterfalls and beautiful beaches of deep blue water. The landscape on Lombok varies from rugged and mountainous inland with the volcano Gunung Rinjani as the center point to flat sections along the coastal region. A place that is worth a visit during a holiday in Lombok is Kuta. Dozens of bays with white sand, clear blue water, banana trees and tobacco fields sign this seaside resort. Kuta is the home of fishermen and seaweed farmers, and of surfers who come back every year because of the good waves. The Pura Meru is a Hindu temple in Cakranegara. It is one of the most important religious temples on the island and it is also one of the island's most famous tourist attractions. The temple is widely used at festivals and special ceremonies. The island is considerably less touristy than the well-known neighboring island. The large nightlife is less present here, but nature and beaches are even more beautiful here than in Bali. More and more travelers come to the beautiful and unspoilt beaches, the green interior and the three Gili Islands .. A calm island with breathtaking beaches, various lively cultures, bustling villages and beautiful nature. But Lombok also has wooded mountains that often run to the sea. Around the whole island a road full of hairpin bends, which is still laid out in Dutch times. The interior is rugged and undeveloped, while rice, soya beans, coffee, tobacco, cotton, cinnamon and vanilla are cultivated on the flat and fertile parts of the coastal region. The third highest volcano in Indonesia, the Gunung Rinjani, is located at Lombok and is 3726 meters high. The ascent of this volcano is a highlight in your holiday. The volcano Rinjani has breathtaking crater lakes and hot springs. Lombok is separated in the west of Bali by the Lombok Strait and in the east of Sumbawa by the Strait Alas. The interior of Lombok is home to various waterfalls. The most famous and perhaps also the best is the Tiu Teja. To achieve this, you first have to make a beautiful trip through the jungle. 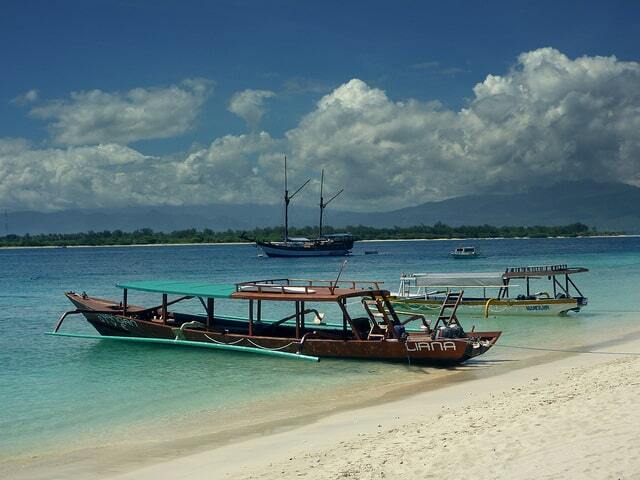 On the northwest coast of Lombok there are some islands known as the Gili Islands. They are popular diving and snorkelling destinations because they are surrounded by coral reefs with a wide variety of underwater animals such as sharks and turtles. The visibility is more than 20 meters and the water temperature fluctuates around 26 � C.
There are various animal species in Gunung Rinjani National Park, including monkeys, deer, wild boar and wild cats. There are also a number of colorful birds. In addition to animals, the National Park also has many plants, such as orchids, and in higher places grows edelweiss. The flat and fertile part along the coastal strips of Lombok are widely used to grow all kinds of food and spices. 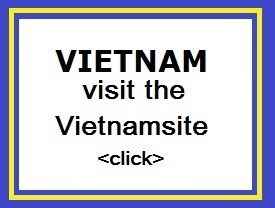 "That evening we had dinner at the nightmarket, which had a top flavor, and it was very cheap! Here in Indonesia I eat mainly "Nasi Goreng Ayam" (fried rice chicken) or vegetables. They always do crackers, peanut sauce and fried egg. I eat this in the morning and evening, and in the morning I usually eat a "banana pancake". Sometimes I eat something western, and yes, that is usually fries, a sandwich or sometimes a pizza. Or I get a number of corn cobs. You just need the alternation. Anyway, it was so delicious. "